The holidays are full of hustle bustle and all kinds of craziness. There will probably be a situation where you think to yourself; crap! I’m supposed to be at So and So’s house in just a few minutes and I forgot to get her a gift. Insert Flair to the rescue! Truth is, we’ve been there before ( more times than we’d like to admit ) and we never want one of our best gals to feel like we forgot about them; because we haven’t. If you’re a true party gal, your wine fridge is alway stocked. 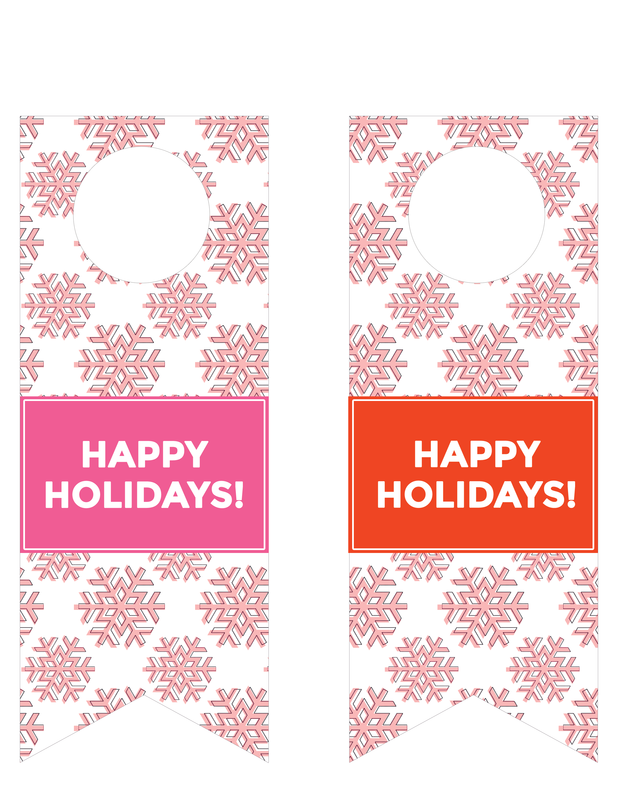 So, grab a nice bottle of something, print out our wine tags and you’ll make your gal pal feel extra special this holiday season. 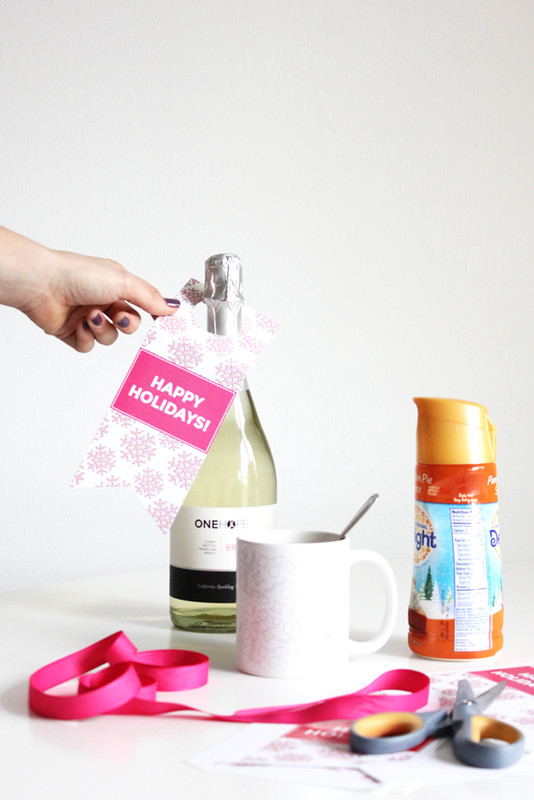 The Best Holiday Hostess Gift; especially when you’re in a hurry! 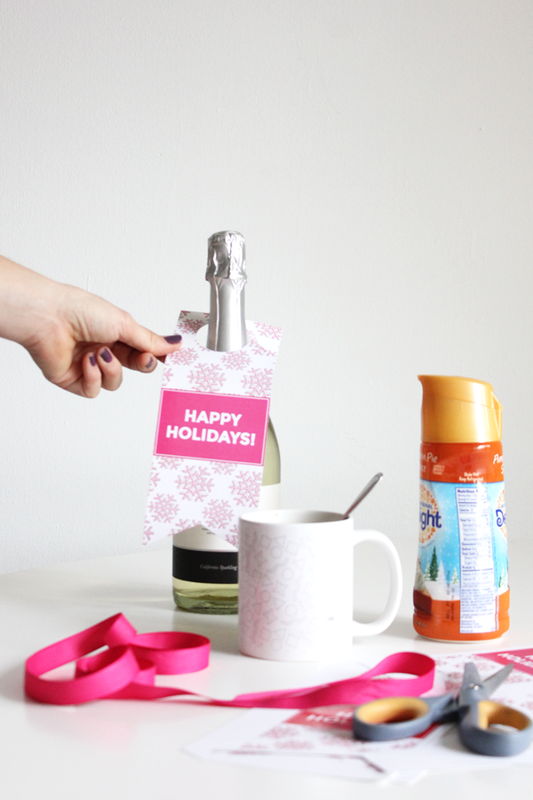 Follow the steps below to create your own wine tags! p.s. this blog post is sponsored by International Delight, because you’ll be needing an extra cup of coffee this holiday season. 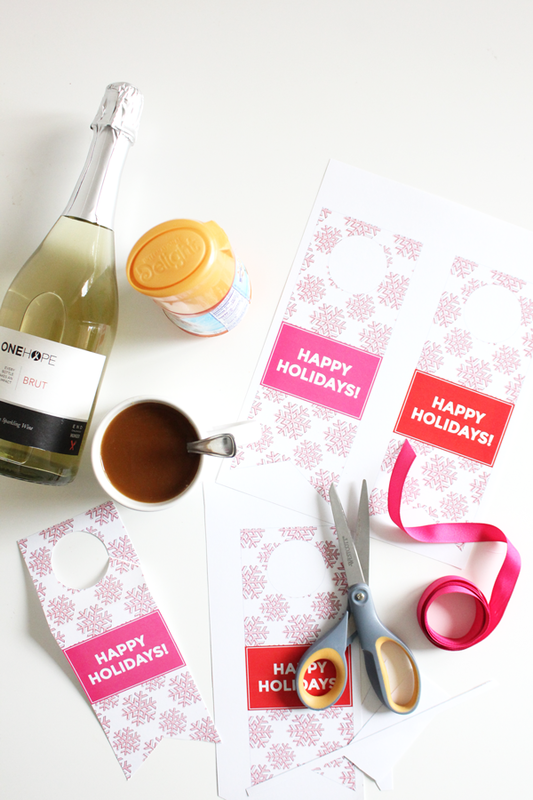 Trim along the light gray line to cut our your wine tag. 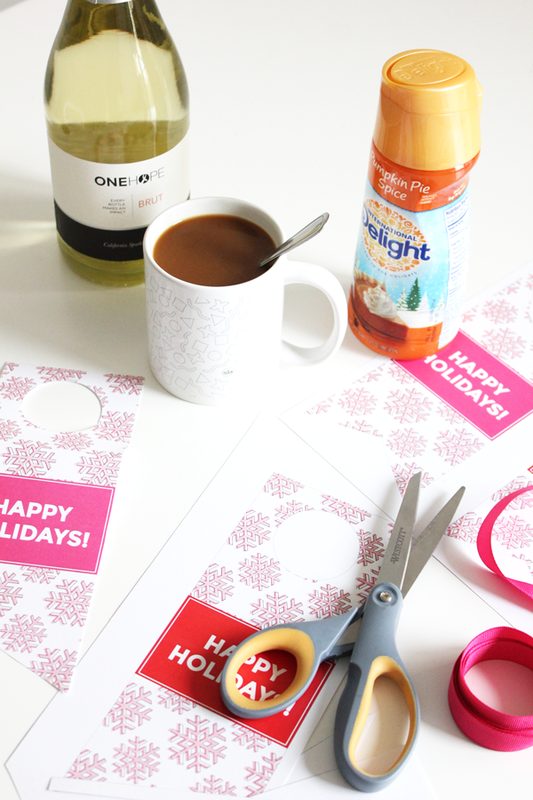 Create a small slit from the edge of the wine tag to the circle and trim out the circle. 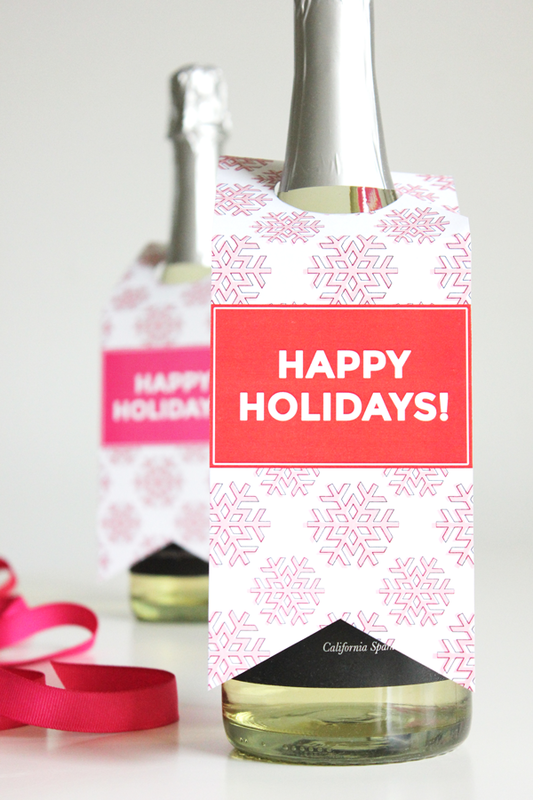 Hang wine tag on the bottle of wine and be on your merry way! The post The Best Holiday Hostess Gift appeared first on The Flair Exchange®.